In my mind, Bobo Backslack has been playing this game for, like, an hour, and he's either lucky enough (or good enough) to keep getting match after match. That guy behind him just wants to give it a whirl, but Bobo's having the game of his life, and he's not ready to give up them hawt little flippers! I thought this sort of thing was only possible on older machines! 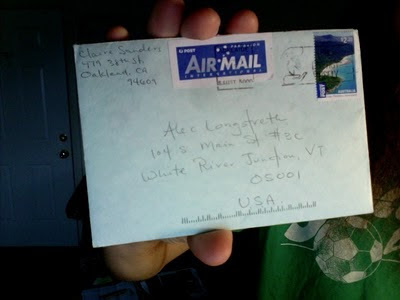 My girlfriend Claire is in Australia for a few weeks and today I got my first letter from Down Under. In Melbourne alone, Claire has spotted pinball machines in a few different diners, a record shop and a bowling alley. Machines included a Star Ship, Guns and Roses, and Creature From the Black Lagoon. Claire writes, "I played The Creature From the Black Lagoon pinball. ALL the middle lights in the face were out. I got a match at the end, so I got a free game." Drop Target #1 is now available for ordering! Now available in the Drop Target Zine shop! Drop Target Issue #1 is ready to rock! Okay you guys, Jon and I have been working super hard over the last two weeks, and today we finally finished printing up 400 copies of Drop Target #1! It's 52 pages, with a screen printed cover and a full-color center spread. It's pretty deluxe! Easily the coolest zine I have ever made. 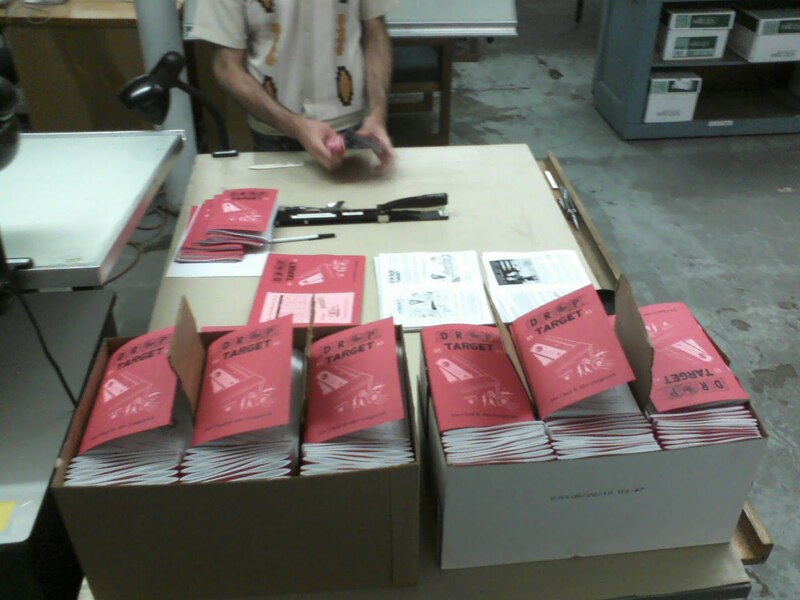 We're going to debut the book this weekend at the Small Press Expo in Bethesda, Maryland. If you are in the area, please swing by! Once we get back to Vermont, we will put up PayPal links so people can order copies from anywhere. 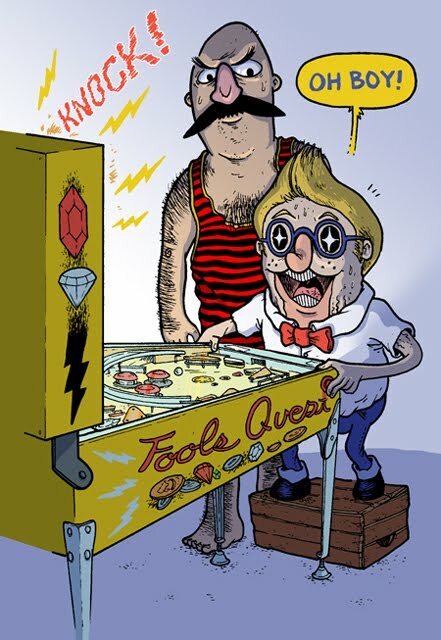 Trust me, if you're into pinball, you're going to love this zine! 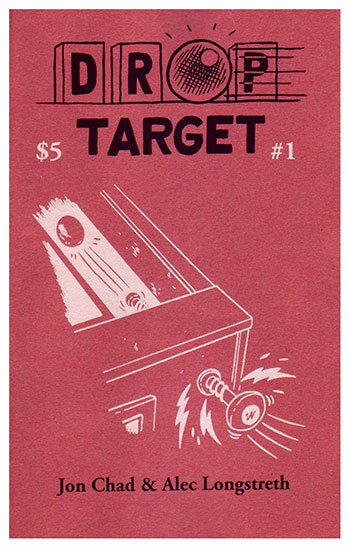 Drop Target #1 at SPX! We are hard at work putting the finishing touches on Drop Target #1, The Introduction Issue, which will be debuting this weekend at The Small Press Expo in Bethesda, Maryland. If you are in the area, please swing by and pick up a copy! 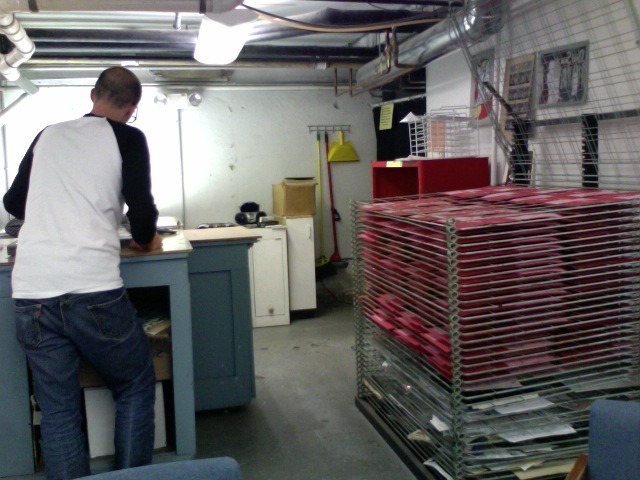 Here's a picture of Jon Chad screenprinting the covers!